Imagine stepping onto a stage with a group of 7 people and you have nothing planned, nothing scripted. The audience expects to be entertained for the next 20 to 30 minutes. A single performer steps forward and asks the audience for a one-word suggestion. From this one word the group builds a series of scenes, games, and characters that culminates in a fun, fantastic, sometimes sad, but always entertaining heightened reality. 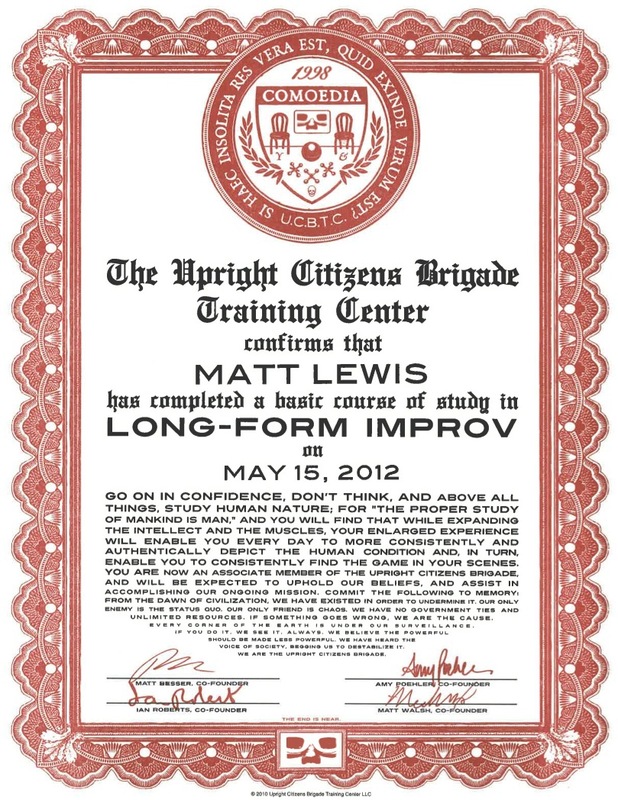 This is called long-form improv and the performance was my final meeting in an 8-week improv course with the Upright Citizens Brigade Theatre. Above all else, performing improv is fun. 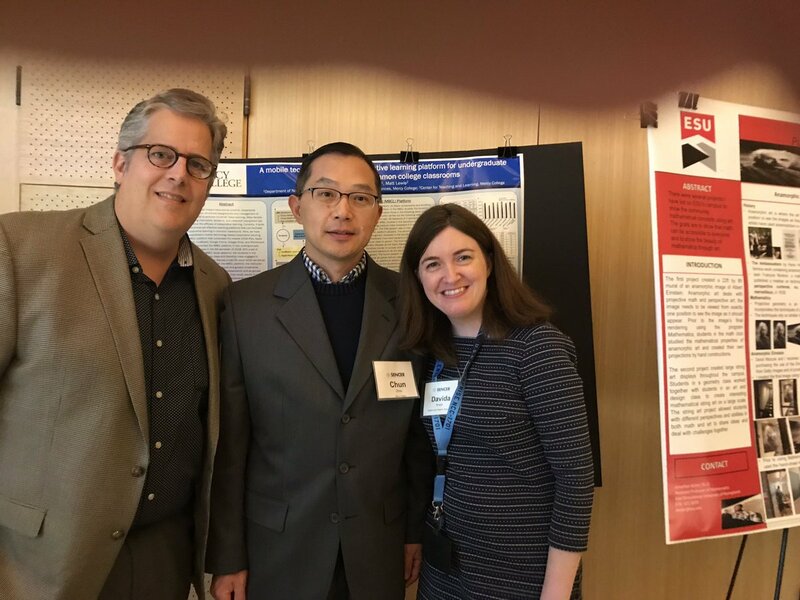 But it’s also rewarding and engaging because of its raw creativity, attentive listening and recognition, and sheer terror cushioned with camaraderie and support. As a performer when I step into center stage, it’s exhilarating. I deliver my lines and my scene partner reacts and adds, we create something from nothing. It’s beautiful. The audience laughs and I feel validated. We are successful! 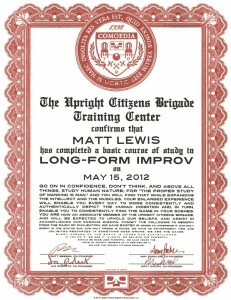 This is why I keep studying, practicing, and performing improv, even though I’ve completed the UCB Certificate. Improv is a skill or a set of skills, of which listening is one of the most important. Listening isn’t just hearing what was said, but 1) interpreting what was said and 2) remembering what was said in a chaotic environment. Along those lines the performer needs to stay composed while in the spotlight. Mastery of these skills only comes from repeated attempts.I needed to listen carefully to everything. Nothing can be missed. I had to act with realistic emotions and I had to react through the emotion. If I initiated a scene I had to instantly create a character, relationship, location, and activity in one or two lines of dialogue and movements. If I was responding to an initiation I had to instantly agree with the scenario presented and I had to add information and push the action forward. I spent my time alternating from performing in front of the class or sitting in the seats observing the play. I had to take constructive criticism from the teacher or director. I had to attempt to incorporate the directions the teacher gave and put them directly into practice.